A couple in Northern Ireland were shot by paramilitaries after refusing to hand over their son to the attackers. The boy, whose age has not been disclosed, was believed to have been wanted by the group for a punishment shooting. The married couple, aged in their 50s, were shot in the legs after the Republican paramilitaries came to their home in west Belfast, UTV reports. Sinn Féin politician Pat Sheehan, who visited the scene, said the man and woman were "shot in their own living room." Police are currently in attendance at a shooting incident in Norglen Parade, West Belfast. A man and woman, both in their 50s, were injured. "There is no way this family is involved in criminality of any sort and whatever the motivation was for this shooting, there is absolutely no justification for it.The people in this street are now terrified as a result of this shooting," he said. Police Service of Northern Ireland Detective Sergeant Keith Wilson told reporters the couple were taken to hospital for treatment for their injuries and are in a stable condition. Man and woman in their 50s shot in the legs at a house in Norglen Parade in W Belfast (around 6pm). Both taken to Royal Victoria Hospital. 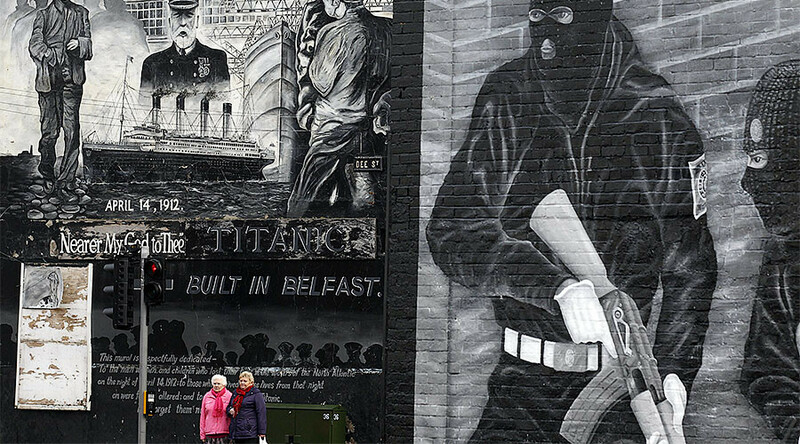 So-called “punishment attacks” became widespread in Northern Ireland throughout the ‘Troubles', a period of escalating violence between Loyalists (predominantly Protestant) and Republicans (predominantly Roman Catholic) that began in the late 1960s. ‘Kneecapping’ was a common tactic used by paramilitaries, which involved shooting their victims in the knee, leaving them with a crippling injury. The decommissioning of weapons by the IRA in 2001 saw a decrease in the attacks but they still occur, with 500 reported in the past six years, according to statistics from 2016. Just over half (58 percent) of the victims were Protestants, with 42 percent Roman Catholics. Two percent of victims were female. Youths have not been exempt from the violence with children as young as 13 being shot.